It’s very common to hear people say that beauty is in the eye of the beholder. And that’s true. What one person considers to be attractive, another person may not. When it comes to deciding whether or not rhinoplasty surgery is right for you, you are the beholder. You are the one who determines whether or not you feel that your nose is attractive. If you feel that rhinoplasty will improve the appearance of your nose, know that you are in good company. In fact, every single year about 500,000 people talk with cosmetic surgeons to see if rhinoplasty will help them. Some people just do not like the nose that nature gave them. Others are disappointed with the way that their nose has changed as they’ve aged. For some people, an accident or injury may have led to nasal deformity. Because your nose is the most prominent feature on your face, even a slight change can make a drastic improvement in your appearance. It cannot be stressed enough that rhinoplasty surgery will only improve your self-confidence if you are having the procedure done for yourself. If you are having rhinoplasty done as a way of impressing others or because other people tease you about your nose, you may not end up happy. During the initial consultation process, do not be afraid to ask questions. The more information you have and the more realistic your view of what the surgery can and cannot do, the better you will feel about the end results. Dr. Shapiro will always work directly with you to make sure you get the results you want to see. Rhinoplasty is designed to be more than just a cosmetic procedure. It can also be performed to correct medical concerns, such as a nasal fracture or a deviated septum. Dr. Shapiro also offers revision rhinoplasty to correct a nose job that has given you undesirable results. This procedure is ideal for those who are unhappy with the size or shape of their nose as a result of injury, age or problems from birth. It is also useful for correcting medical conditions or past rhinoplasties that have let patients with undesirable results. Good candidates should be in generally good health and have realistic expectations. If you are in any way unsure if this procedure is right for you, Dr. Shapiro can help you make an informed decision. Your nose is the most prominent feature on your face. It is the first thing that you see when you look in the mirror, and it is the first thing that other people see when they look at you. 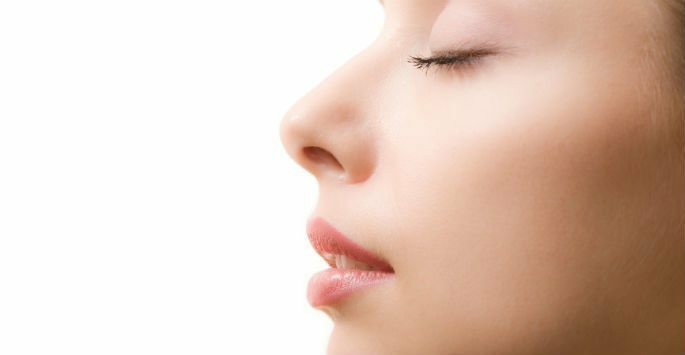 Let rhinoplasty help you get the attractive nose you deserve. When you choose Shapiro Aesthetic Plastic Surgery and Skin Klinic in Scottsdale, you can rest assured you’ve put your care into the trusted and professional hands of our plastic surgeon. If you are interested in learning more about how rhinoplasty can help you, schedule a consultation with us today!